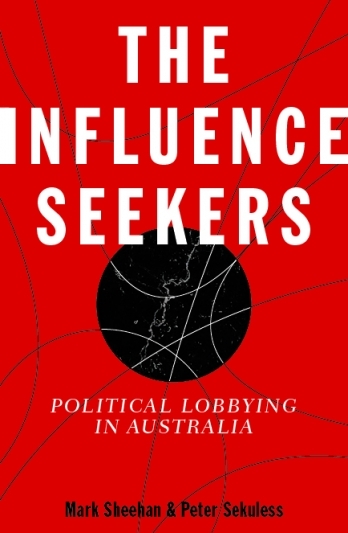 In this book specialists and professionals reflect on political lobbying in Australia, examining its history and growth and recent changes in its practice and regulation. The changing relationship between lobbying and the media and the role of lobbying in the business of government are closely analysed. Case studies of powerful lobby groups, such as the Pharmacy Guild of Australia and Business Council of Australia, are included. The authors’ view of the lobbyist is fresh and informative, and may serve to correct common misconceptions. The Influence Seekers is by Mark Sheehan, Peter Sekuless, Geoff Allen, Steve Mackey, Mark Civitella, Stephen Stockwell, Feyi Akindoyeni, Noel Turnbull and Clare Shamier.